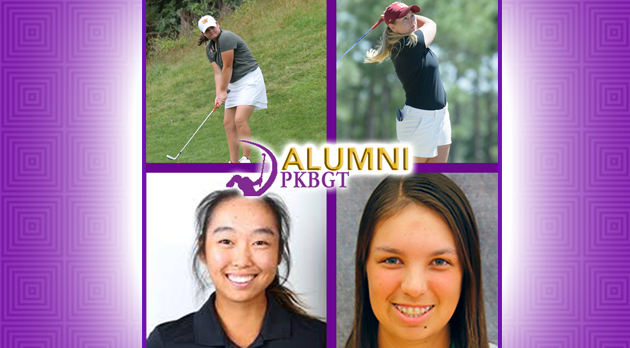 This week, PKBGT alumni competed in tournaments as far west as Washington to the prestigious grounds of the Pinehurst Resort right here in North Carolina. Others closed out their fall season over the past week and prepare for an offseason of training to improve their game. Even as players reach the highest levels of competitive golf the constant grind to improve their games and better themselves never withers. It is that hard work and dedication in the offseason that pushes them past the competition and into our #ThrowbackThursday College Roundup. 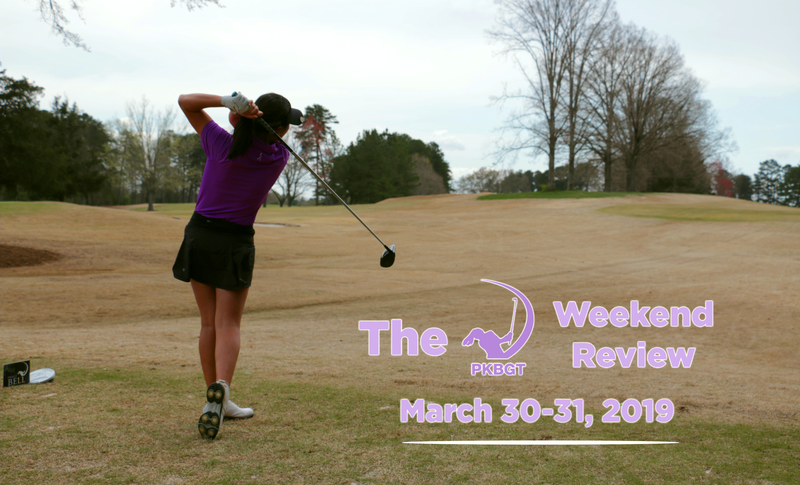 Playing on her home course, Meredith Wipper (Hilton Head Island, SC 2016) rode a final round 67 (-5) for a T1 finish. Her University of Findlay team finished in 3rd place overall at the William Bealls Fall Classic which they hosted October 7-8. Wipper ended the tournament +4 overall. 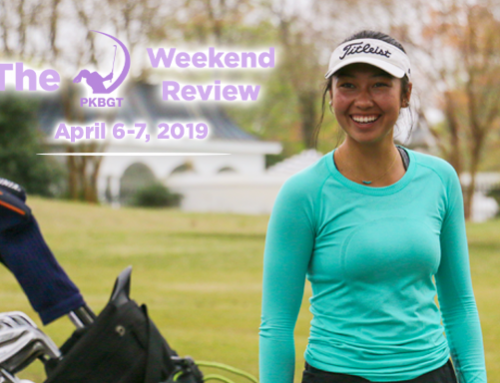 A pair of PKBGT alumni landed in the top-3 this past weekend in Virginia Beach. 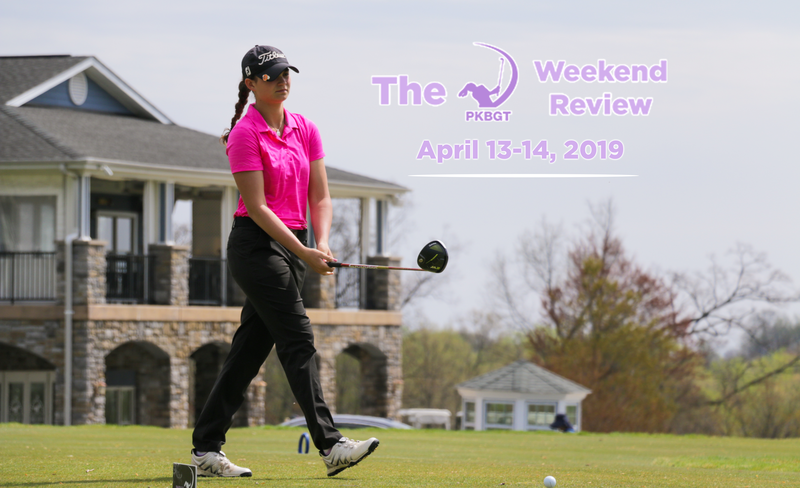 Chattanooga’s Maddy McDanel (Aliquippa, PA 2016) and Campbell’s Emily Hawkins (Lexington, NC 2018) each finished the tournament T3 with scores of 208. Hawkins’ impressive tournament helped push the Campbell University team to a 2nd place finish. 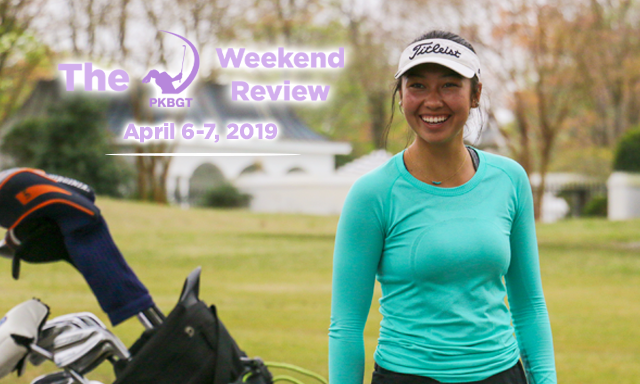 Less than 100 miles from Greensboro, many of our alumni came together close to home for a fantastic tournament at Pinehurst Resort. 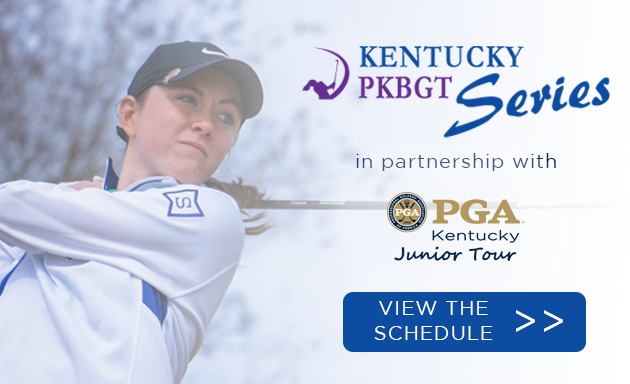 Victoria Huskey (Greenville, SC 2016) had the top performance among the PKB alumni finishing T3 at +2. Her College of Charleston team finished 2nd at the tournament. Madison Butler (Hinckley, OH 2017) of Cleveland State earned a T3 finish at the Shirley Spork Invitational this past weekend. 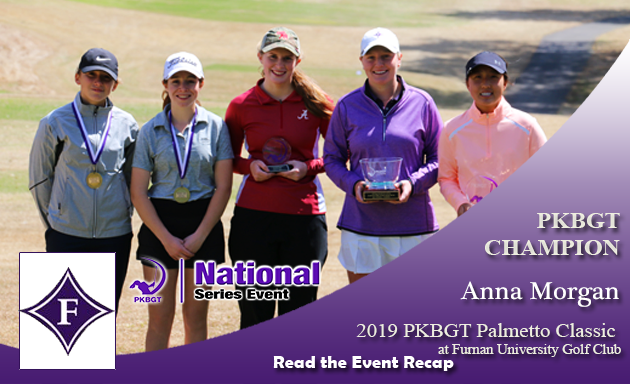 Fellow PKB alumni Katie Whitfield (Clemson, SC 2018) was not far behind as the Bowling Green freshman finished T5. Talk about a reunion! 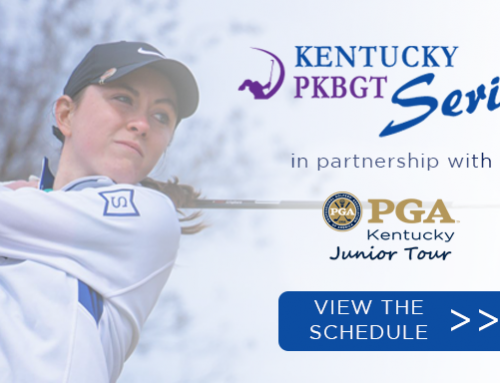 12 teams featuring PKBGT alumni competed at the Country Club of Salisbury this week. Abbey Hartsell (Hickory, NC 2015) brought home individual honors, winning the tournament with a final score of 140. Her Lenoir-Rhyne team finished 2nd place in the tournament. 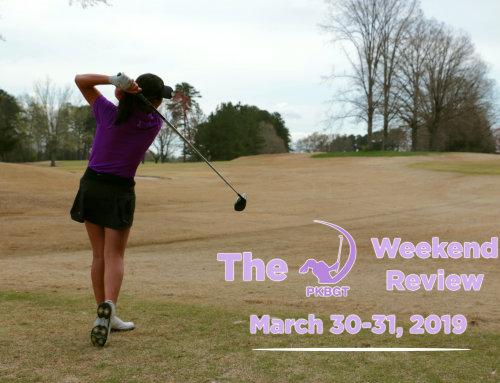 Alexandria Bare (Kannapolis, NC 2015) of Anderson University finished just one stroke behind Hartsell in 2nd place. 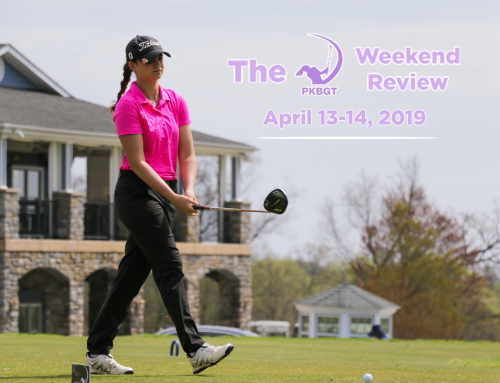 At the Shenandoah Green Turtle Invitational, York College represented the PKBGT in style. Teammates Jordan Koller (Brookeville, MD 2018) and Anna Moore (Wilmington, NC 2018) finished in 1st and 2nd place respectively. The win was Koller’s first in the freshman’s young collegiate career and Moore’s 72 was a new school record for York. The two helped lead York to the team championship. 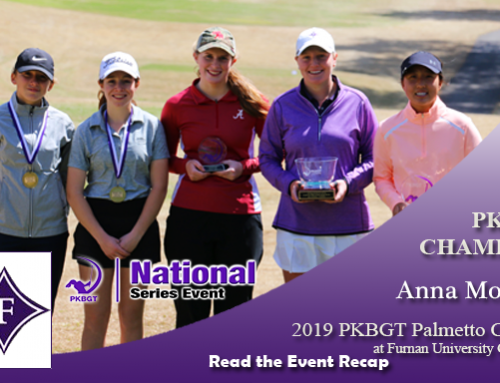 At the General’s Invitational, Arisa Kimura (Bethesda, MD 2016) took home the individual championship and helped lead her NYU squad to the team championship. Grinnell’s Nina Kouchi (Matthews, NC 2018) concluded a stellar freshman fall campaign finishing T2 in the Midwest Conference Tournament.